If there is a history of heavy grinding of teeth, causing damage, then an appliance can be made to protect all the teeth. It is usually worn at night and called an occlusal splint. This provides an even bite on a firm cushioned material. In a mouth with very worn teeth, we can build up the bite with bonded tooth coloured materials. This is called increasing the vertical dimension – (the topic of a future blog article). This prevents the jaws from over closing and reducing the pressure on the teeth and fillings. 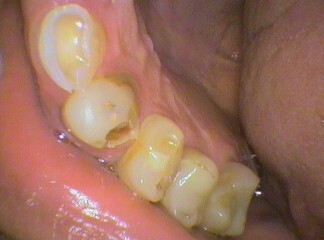 The fillings will also be thicker and stronger and look better. 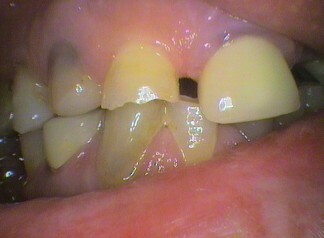 Unfortunately, if the tooth is split vertically, the only option is to remove the tooth. Even if we crown the tooth, it can still split. X-rays do not pick up these types of cracks. 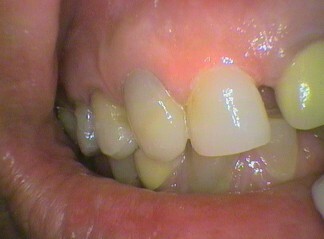 Then with the tooth lost the options for the space are nothing, dentures, bridge, or an implant. NEXT WEEK – A Nurses Blog from Roni. 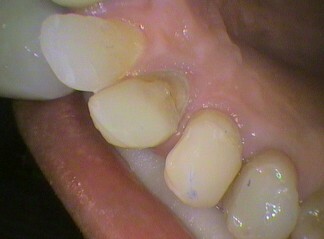 Worn teeth causing overclosure of bite Worn teeth from a heavy bite, causing filling to be lost	 Build up & fillings placed on teeth	 Front view of build up & fillings - getting back to a normal bite & look.